Alexandre Dumontier graduated as an agricultural engineer at AgroParisTech (Master’s level) in 1999. From 2000 to 2004, he worked in various agricultural and rural development projects in Burkina Faso, especially on strengthening small farmers’ organisations. 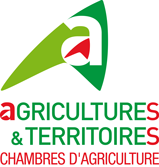 From 2005 to 2010, he worked in the regional Chamber of Agriculture of Franche-Comté, first as the regional coordinator for sheep breeding, than as the head of the service for economic studies. Since 2010, he has been working in the Chamber of Agriculture of the Centre Region, first as the coordinator of the regional observatory of “reference farms” (named INOSYS), then as the head of the Development and Environment Direction.